Setting up the Christmas Vuly trampoline! We’ve just passed the middle of November, which means that we can count the number of weeks until Christmas on one hand! While some may be cynical about Christmas, we at Vuly Trampolines love the magic and the smiles and laughs that this time of year can bring for kids everywhere. Whether you’ve had your Vuly for a long time, or you’ve bought one as a present this year, you can deck out your trampoline in all sorts of festive goodness to make it a centrepiece on Christmas Day. 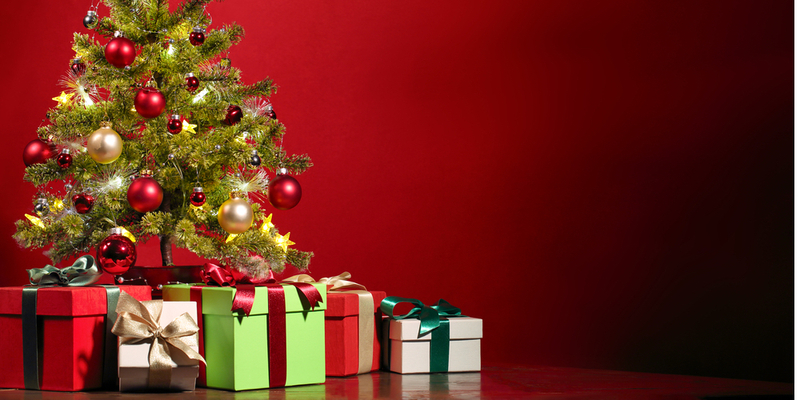 Kids love Christmas trees—all those bright lights, pretty decorations and (of course) presents. This year, try something different by turning your Vuly trampoline into the Christmas tree. Not only does it save you the hassle of getting the old one out of the cupboard, a Christmas Vuly is also more flexible with lighting and present arrangements. Just slip on your Deluxe Tent accessory and go crazy with fairy lights. Wrap some rope lights around the entire enclosure and up the frame, and drape some wire lights from inside the Tent roof. You can even get a few oversized novelty baubles or candy canes, and hang them around the frame or from the roof. On Christmas morning, you can all pile into your Vuly for a truly Aussie day of unwrapping presents in the backyard. You’ll all be comfortable, and when the time comes to clean up, all the rubbish will be inside the enclosure! Remember: Never hang decorations on the netting, use sharp decorations near the netting or jump while there are objects inside the trampoline. On Christmas day, you don’t want to hand your kids a bunch of boxes and tell them that it’ll make a trampoline. That may be the easiest way to keep the secret for a big surprise, but you’re a craftier parent than that! Assemble your new Vuly beforehand, and be a little bit of a sneaky Santa by moving all the presents from underneath your tree to the inside of the trampoline on Christmas Eve. Keep the assembled trampoline and the presents inside secluded in your backyard; cover it with wrapping paper to fill your kids with awe at the size of their star gift. They won’t forget tearing metres of wrapping from a Vuly and then piling inside for the remainder. Just remember to be extra cautious where and when you pre-assemble your Vuly trampoline; you would't want the surprise spoiled! Want to make the new Vuly extra special? Maybe you’re making up a Christmas Vuly instead of a tree, but want to give a gift that’ll tie everything together. Wrap up a new Vuly Deck or Basketball Set and place it inside. If you thought that your child would make a lot of use out of a trampoline by itself, wait until you add a fun accessory. 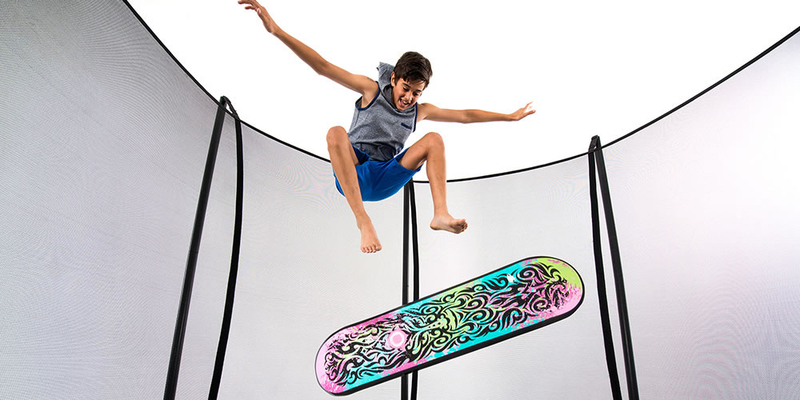 They’ll spend even more hours learning skate tricks or shooting hoops in the safety of their new trampoline! How are you integrating your Vuly trampoline—old or new—into Christmas Day? We want to hear all your great ideas for next year!